In the final exercise of the two days of learning, APhA staff constructed bicycles. Like many of you, we’ve had to become very prudent in our spending to be sure we’re growing, living within our means, and continuing to provide member value every day. As a result, we’ve asked staff to do more while cutting many of the training programs we’ve offered in the past. 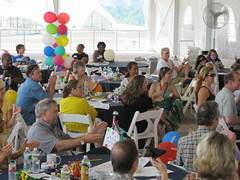 Earlier this summer, we held two days of learning for staff at APhA to fill in the gaps left when we reduced training. We provided skill workshops for various software programs that staff use every day but have often learned on the job. And we conducted a number of team-building exercises designed to facilitate collaboration by having staff members in various departments work with folks outside their normal daily routines. The final exercise involved team-based competitions to build bicycles (see photos) that we then donated to Big Brothers and Big Sisters in the area for kids who wouldn’t otherwise have a bike. If we’re to be as effective an organization as possible, we must be efficient in how we work. I am pleased to say that I believe the two days we just allocated were well-spent. We accomplished our goals. I’m very proud of our team for working every day to make pharmacists’ contributions to patient care more valuable. And, as always, I’m grateful to our members for their support of our efforts. 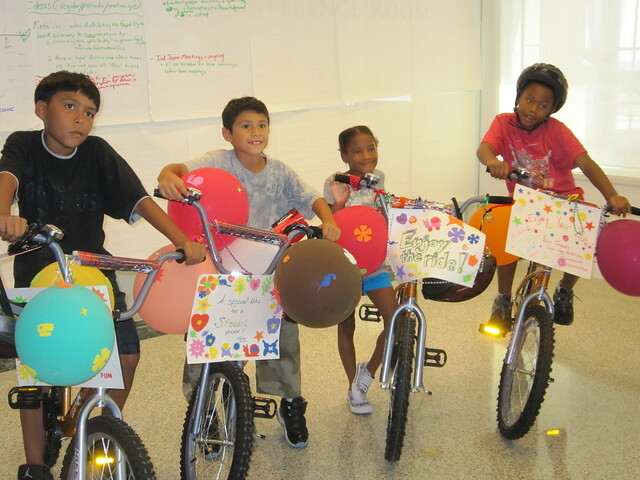 Four kids were invited to APhA Headquarters to choose their own bike, surprising staff.